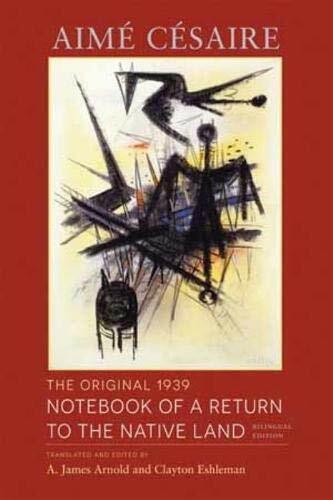 Aime Cesaire's masterpiece, Notebook of a Return to the Native Land, is a work of immense cultural significance and beauty. This long poem was the beginning of Cesaire's quest for negritude, and it became an anthem of Blacks around the world. Commentary on Cesaire's work has often focused on its Cold War and anticolonialist rhetoric―material that Cesaire only added in 1956. The original 1939 version of the poem, given here in French, and in its first English translation, reveals a work that is both spiritual and cultural in structure, tone, and thrust. This Wesleyan edition includes the original illustrations by Wifredo Lam, and an introduction, notes, and chronology by A. James Arnold.